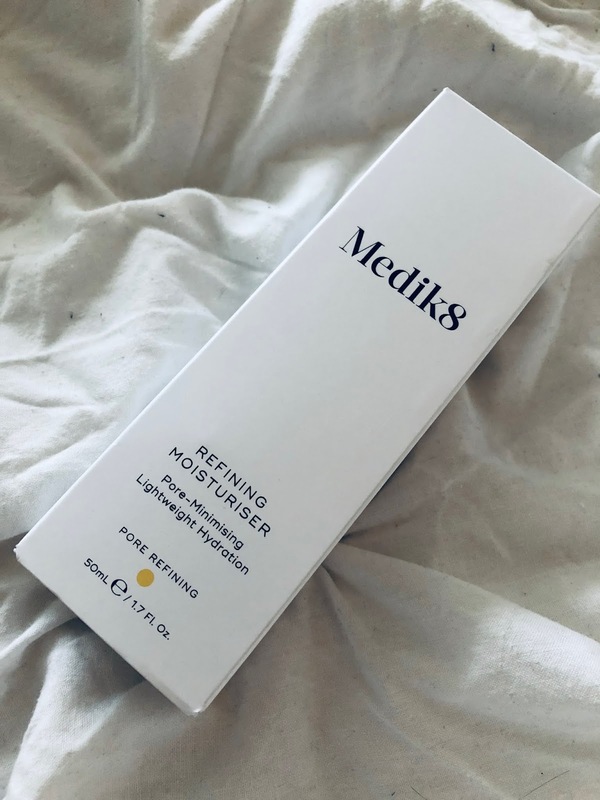 Medik8 is a brand that may not be an obvious choice when you’re thinking of switching up your skincare. It’s a professional brand and one that has active ingredients so therefore comes at a slightly higher price (although not unreasonable). I’ve recently been testing out their refining moisturiser, which is specifically targeted to a combination to oily skin type. If you have a problematic skin or are always reaching for the blotting powder an hour after makeup application then this moisturiser will be your new secret weapon. 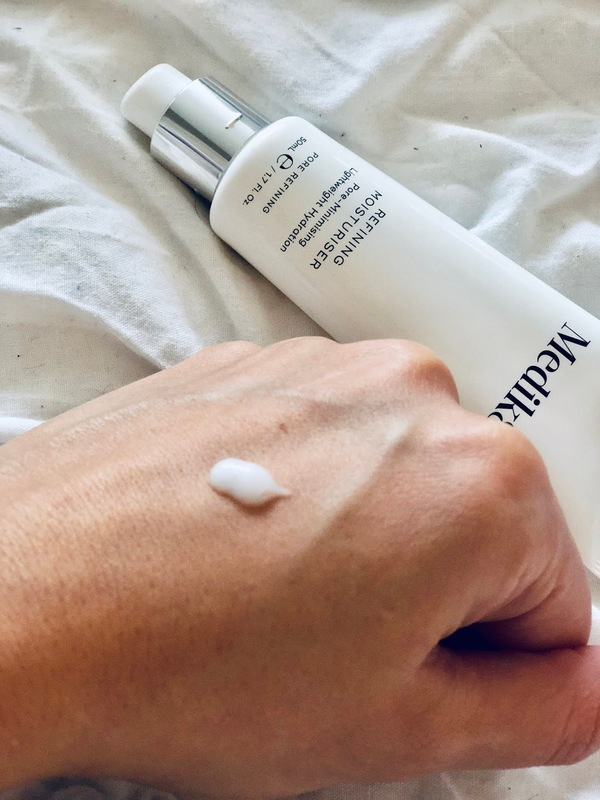 If your skin requires a lot of maintenance to keep matte then it’s always best to use a targeted moisturiser that will work with your skin type to improve the texture and health whilst still providing a pleasing feel. Firstly, it’s water based so immediately it doesn’t feel occlusive or greasy. It has an ingredient (Isododecane), which prevents the evaporation of water. Even though your skin is oily, it still needs hydration to keep its natural protective barrier working, as it should. It also contains Mandelic acid, which is a mild AHA exfoliant. Not as stimulating as Glycolic but good for a slightly more sensitive skin and will keep an oily skin from looking dull and will also help to eliminate the build up of dead skin cells that may lead to breakouts. Clover extract soothes, Bergamot, which not only smells phenomenal it also helps to naturally cleanse, remove impurities and regulate sebum production, Red Clover to help with any inflammation and Vitamin F, which is essentially Linoleic acid and a fatty acid for the skin which helps normal healthy cell growth in the skin. Although this moisturiser has no fragrance added, alcohol it does contain essential oils which some may be sensitive to. This is also vegan friendly and cruelty free. It’s super lightweight and absorbs immediately, zero residue but also leaves skin comfortable and hydrated. This moisturiser comes in a pump action tube to ensure the active ingredients are not contaminated. It’s priced at £45.00 for 50ml and a small amount goes a long way. Sounds perfect as a base for my slightly oily skin. I find the inDefense SPF30 from Indeed Labs is also awesome under makeup for oily skin types.